In May 2018 Channel 4 showed an episode of Our Wildest Dreams that was all about us (Lyndon and Ruth Pinches) building Pinnon Lodges. It was amazing for us looking back 2 years to where we were and how we overcame the challenges we had building a safari lodge in the bush with zero experience and a tight budget (not to mention the broken arm and pregnancy complications!). If you missed the show you can catch it on the channel 4 website. I watched your programme on channel 4, it’s amazing what you can achieve with some inspiration. My partner and I are getting married next year and are wanting to do a safari for our honeymoon. Your lodges look amazing and there seems to be a vast array of wildlife, we would love to visit your safari camp. I think I will be in contact soon for some more info :). Great program. Well done you guys. 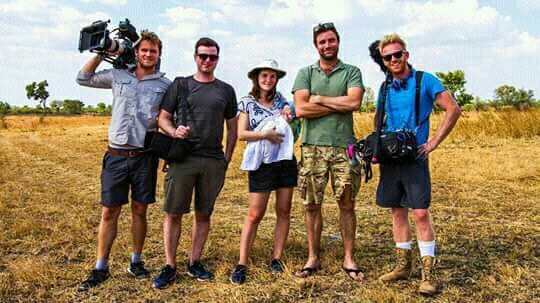 We did our first safari in the Serengeti 3 years ago and it was our best holiday/experience ever We would love to do another and after watching the program we are interested to find out the best times to come and your prices.